G-Met Ltd is a metal welding and fabrication company based in Guernsey. They offer services from Structural steel fabrication and erecting, to wrought iron railings, balustrades and gates, trailers and truck bodies and much more. 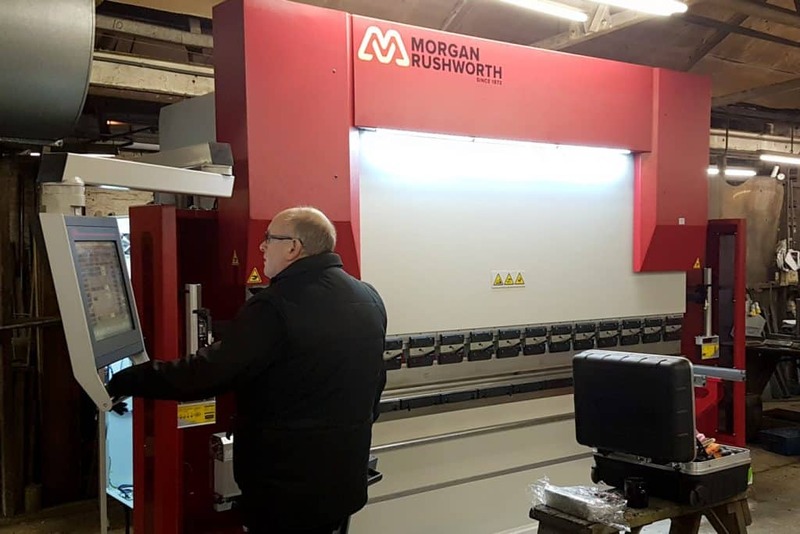 G-Met Ltd recently purchased a Morgan Rushworth press brake from Selmach. We spoke to Geoff to find out about their experience of buying the press brake and how it had impacted their business. We bought it to encourage new business. We wanted to be able to keep the work that required this kind of machinery, to do it ourselves rather than farm it out to others. We have bought our machines from Selmach for 10 to 15 years. They are very helpful and reliable. They’ve never let us down and their products are reasonably priced. We went to Selmach and told them what we needed. They recommended the Morgan Rushworth. Has it helped you save time and increase productivity? We didn’t really need it to increase productivity, that wasn’t an issue we had, but it has saved us time. The aftercare and service has been very good throughout. Nigel, in particular has been extremely helpful.